The tears that threatened to spill from her eyes owed nothing to script or direction and everything to a complex melange of emotions that Hindi film actor Deepika Padukone was clearly still struggling with. Just over a year ago, television audiences across India watched transfixed as one of the country’s biggest stars opened up to NDTV anchor Barkha Dutt about her tryst with depression, anxiety, emptiness and much else that Padukone was still unable to articulate. Seated on the couch with her on this seminal TV event was Shyam Bhat, the psychiatrist recommended to the Padukones by family friend and leading transactional analyst Anna Chandy, who had helped the star deal with the crisis. Engaged and empathetic, he was, for the majority of that interview’s Indian viewers, their first view of a real, live shrink. If mental health is relegated to the darkest corner of our collective closets, its practitioners are even less visible than the skeletons we stow away there. Padukone, it seems, wasn’t the only one to believe a doctor could help her deal with her monsters; a significant section of young India on the other side of the silver screen, too, seeks succour. In a country with inadequate medical services, the area of mental health is woefully neglected. A 2015 World Health Organization paper says there are just 43 government-funded facilities for the estimated 70 million-plus people living with mental health disorders; for every million Indians, there are just three psychiatrists and even fewer psychologists. “It’s the main reason I came back to India," says Dr Bhat on an unusually hot Bengaluru afternoon as we discuss the fragile emotions of the nation, why heartbreak is one of the primary triggers of depression and how India can tackle an impending mental health epidemic. “It was clear to me that there was something we—the professionals—were doing wrong. We were not speaking the right language or helping people understand what was going on. That became my mission: to try and make psychology and psychiatry less scary and more accessible and acceptable. “Because," Dr Bhat warms up on the subject with the confidence of conviction, “if we don’t step up, it leaves people open to dependence and even exploitation—financial, physical and even sexual—by astrologers, pseudo-counsellors, dubious ashrams, dodgy godmen. While the bulk of the people suffering from existential issues, anxiety, stress in our country have traditionally sought spiritual salvation through ashrams and godmen—many godmen are master therapists—and many do find help, there are cases of exploitation. Someone I know went to an unqualified therapist who gave life-changing advice, like leave your spouse—that’s completely unethical. In psychotherapy, you don’t tell a person what to do, you help the person so that she or he can come to their own decisions." Notwithstanding the bright young eyes, it’s hard to reconcile the 43-year-old’s calm, attentive demeanour with the impetuous lad who, 20-odd years ago, followed a long-time girlfriend all the way to the UK, only to be let down in a most devastating manner. 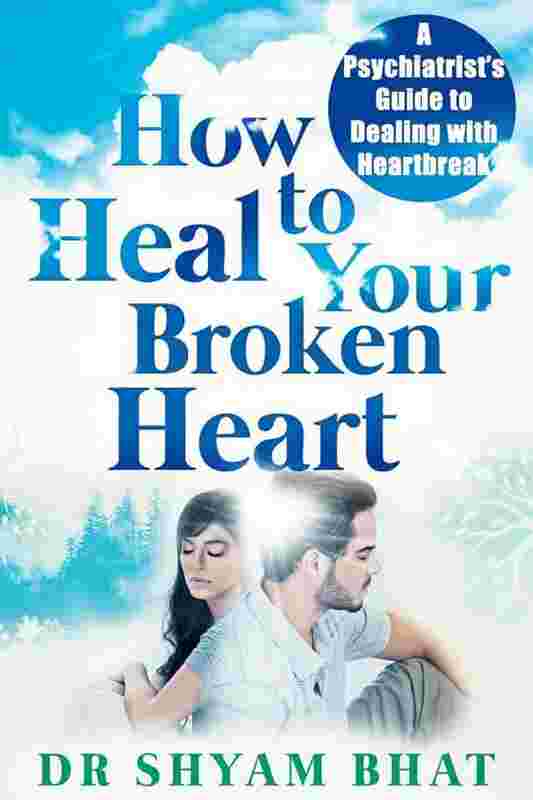 The impact of that disappointment, and its eventual lessons, are now inscribed in Dr Bhat’s first book, How To Heal Your Broken Heart: A Psychiatrist’s Guide To Dealing With Heartbreak, released by Juggernaut last week. “To the women who broke my heart—you taught me what books can’t teach about love and loss," reads the dedication. This idea is the bedrock of Dr Bhat’s handy, accessible book, which underlines that, for most of us, a heartbreak—even more than falling in love—is often our first really deep emotional experience. “More than 135,000 people commit suicide in India every year, and as many as 20,000 of them end their life because of heartbreak," Dr Bhat writes. “Heartbreak is also the commonest cause of depression, for the young at least, and, along with examination stress, the commonest cause of suicide. In fact, I think it is an experience that’s far beyond many young minds. We are not prepared for the extreme trauma and turmoil that heartbreak can cause: Neither homes nor schools teach us to deal with it," he points out. If that thought gives you pause, so it should. Love and romance continue to be taboo subjects for most of India, even as it leapfrogs into the digital age using borrowed technology and applications. Consider dating. Frowned upon till a generation ago, now it’s a matter of swiping right on a smartphone. The barrier-breaking technological advances come on top of concurrent—yet contradictory— desires for independence and intimacy in a society growing ever more lonely. Simultaneously, a traditionally collectivist society is seeing greater rewards for individualism and the social emancipation of women is changing gender dynamics. All of it adds up to a tinderbox of a situation that frequently expresses itself through male/female conflict. “If we can generalize, across cultures, women are biologically more resilient than men, while men are more vulnerable and their reactions are often more extreme. And in India, the change for women has been so drastic and so rapid, it’s now up to the men to be able to cope. And many men are insecure because many women are confused about what they want," says Dr Bhat. “For centuries, men have subjugated women through two means: physical force and patriarchal systems. Now the world is coming to rely on what could be considered more feminine strengths: empathy, connections, etc. When this happens, the man’s male qualities will be appreciated less; he will grow less powerful. Just as we discriminated against the girl child, the world will probably tilt in the other direction in the next 20-30 years. What I’m hoping for is a balance, because if the genders don’t appreciate their differences and respect their equality, there are issues. “I’m not sure our society has learnt what sort of men to create: He can’t be like his dad was because his wife or girlfriend is not like his mum. I’m not sure I should say this, but the feminist ideal of the man is not the answer either because it emasculates men—and women themselves don’t like it. Indian women, I think, have to explore power and autonomy before they become comfortable with their own identities—just as the Americans went through the whole cycle decades ago—to figure out how they can handle their femininity and their nurturing natures as well as their assertive side." Some quarters may want to dismiss Dr Bhat’s views on women’s issues as “mansplaining", but the psychiatrist speaks from a deep understanding both of Western medicine and of Eastern philosophies, a first-hand knowledge of both the American way of life—the lodestar for urban India—as well as Indian ground realities, and lifelong practice at being the insider/observer. 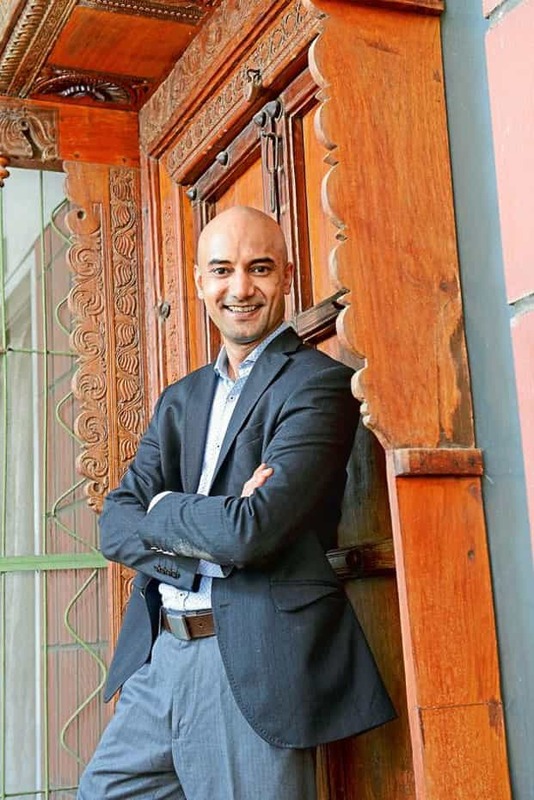 Born to Mangalurean doctor parents in New Zealand, Dr Bhat grew up in Libya and moved to what was still Bangalore at 13. Older sister Deepa, a leadership development consultant, remembers him as “a voracious reader of fiction and, later, spiritual books, a fan of a wide range of music, an avid debater, a dabbler in music and theatre". “In fact," she writes in an email, “he always maintained a balance between science and art—which may have been an indication of his choice of career. Of course, I only see it now (that you ask me about it)." It might be facile to interpret duality as a recurring theme, but it cropped up again while Dr Bhat was in the UK, pursuing psychiatric studies at the University of Birmingham, following an MBBS from the Bangalore Medical College and Research Institute. “I was drawn to psychiatry as the most mysterious, the most challenging, the most misunderstood of all medical specialties. Even in the medical world, there’s a lack of understanding about psychiatry because we don’t have tests or numbers or biopsies, and because treatment is not as direct or as ‘scientific’(as, say, in cardiology or nephrology)," says Dr Bhat. “But even while I was studying psychiatry, I knew I had to learn about the body (to effectively help the mind) because the dichotomy between the mind and body is artificial. So I went on to do an intensive, five-year combined residency in internal medicine and psychiatry—a rare programme even now—at the Southern Illinois University (SIU) School of Medicine." While the West, which produced the first theoreticians of the mind in Sigmund Freud and Carl Jung, is usually considered the leader in psychiatry, Dr Bhat is not entirely happy with the way the field is moving towards biology. “It’s a reductionist approach, trying to correlate a brain dysfunction to a particular behaviour. That’s only one part of the story. We have to understand culture, relationships, psychology, body, spirituality in order to truly understand what happens in psychiatric disorders," he insists. This holistic approach, Dr Bhat believes, has to be on the table as India starts talking about its impending mental health crisis. “We know that 40% of Indians carry a variant of the serotonin transporter gene, which makes them vulnerable to depression. That’s 400 million people at risk," he points out. “Indians, especially middle-class Indians, are often suspicious of emotions; they don’t understand their feelings or how to manage them. Consequently, there’s a lot of denial and repression of pain, and, as a result, their depression is usually manifested physically, in chronic abdominal or back pain or headaches or appetite issues. I’d go so far as to say 40% of corporate India has experienced or will experience depression. Why does it happen? Consider these: cultural changes, lifestyle, enormous stress, sleep deprivation, pollution, bad food, overuse of smartphones, aspirations, ambition, frustration, envy…. There are so many forces almost conspiring to push us over the edge." As ubiquitous as these forces are, Dr Bhat believes social and governmental intervention is critical to avert an epidemic. “We have to start thinking about it as we do with polio. Awareness is essential. We need policy that makes emotional intelligence part of every school curriculum. And every individual must create a protective lifestyle, involving adequate sleep, rest, the right food, exercise and authentic social connections. We can tap into our ancient ideas, of the karmayogi, for instance, whereby we do our dharma and surrender the rest to the cosmos or higher powers, or of maya, which ensures we don’t take life too seriously. Or the belief that the real self is not mortal flesh and blood but the spirit, which is never born and never dies and is untouched by fear and desire. This concept is not to be confused with detachment, which is frequently misinterpreted by Indians as running away: There is no moksha without samsara. We have to have one foot in the mortal, one in the eternal—like Buddhas in the city." Dr Bhat’s own methods of psychotherapy, which he calls Integral Self Therapy, blend insights from Western psychology with Eastern philosophies, the result of a deeply personal journey. “There were these early questions I pondered on—triggered by a Swami Chinmayananda lecture I attended at 17, when he pointed out the past is gone, the future is not here, that the present is the only real thing, or Iron Maiden lyrics, which went as soon as you’re born, you’re dying—and I think it was the search for answers that took me to psychiatry. I didn’t find them there, so I turned to medicine. “But even at SIU, I found gaps in the combined approach to the mind and body. It was not as together, as integrated as it could have been. That is what took me to Ayurveda, to yoga, to Chinese medicine, to Buddhist and Hindu philosophy, even Sufism and Kabbalah. I don’t claim to have all the answers now, but I have a much more comfortable understanding of existence," says Dr Bhat. “So much so, I wonder why Indian psychotherapists don’t read Patanjali, Vedanta, Dharmapada before studying Freud and Jung—these were very deep psychotherapies developed for our people." The multiplicity of Dr Bhat’s approach, his erudition and eagerness to blend medication and therapy to help someone in need, Chandy believes, are the qualities that set him apart from other psychiatrists. “This kind of a progressive approach is just not very common," she says. “We were introduced a couple of years ago through a common friend and we connected almost immediately. So, when Deepika entrusted me with the responsibility of choosing the psychiatrist, I had no hesitation in suggesting Dr Bhat. I knew he would respect her confidentiality, be understanding and non-judgemental, and not get swayed by her stardom." With Chandy, Padukone and entertainment honcho Anirban Blah, Dr Bhat set up the Live Love Laugh Foundation in October to create awareness about depression. In March, he launched Seraniti.com, an online therapy and mental health services portal, with Ashwin Naik of Vaatsalya Healthcare funding it in his personal capacity. “I believe healthcare is prime for disruption. So when Dr Bhat—who I’ve known for many years through friends and family—connected with me, I asked him why Seraniti was important to him. I was struck by his answer: He said he wanted to use his experience to create a platform where every person could achieve their true highest self," says Naik. “I am not a professional investor so it’s very important for me to have a connect on the vision level. From the demand perspective, I had no doubts—in fact, depression is the fastest growing cause of loss of work, higher than even anaemia." As our long chat winds down, I’m reeling from the onslaught of facts, figures, theories, ideas that Dr Bhat has cited without needing to refer to a single document or pause for breath. But the doctor himself displays no signs of tiredness or boredom. Who does he speak to in his downtime? I ask on impulse. “Oh, I’ve always had a large circle of friends. In fact, between 2011-12, I did some stand-up comedy with Sanjay Manaktala and Tanmay Bhat and a few others, quite at the professional level. But you have to be a little cruel in comedy, and I just couldn’t bring myself to make jokes about anything anyone had talked to me about. Eventually, a friend advised me to choose between psychiatry and comedy." Maybe, one day in the not too far-off future, all of India will have cause to applaud that decision. Exclusively available on the Juggernaut app, the book is priced at ₹ 99 and is available at a 50% discount as part of the launch offer.